Simple, fun and downright beautiful. 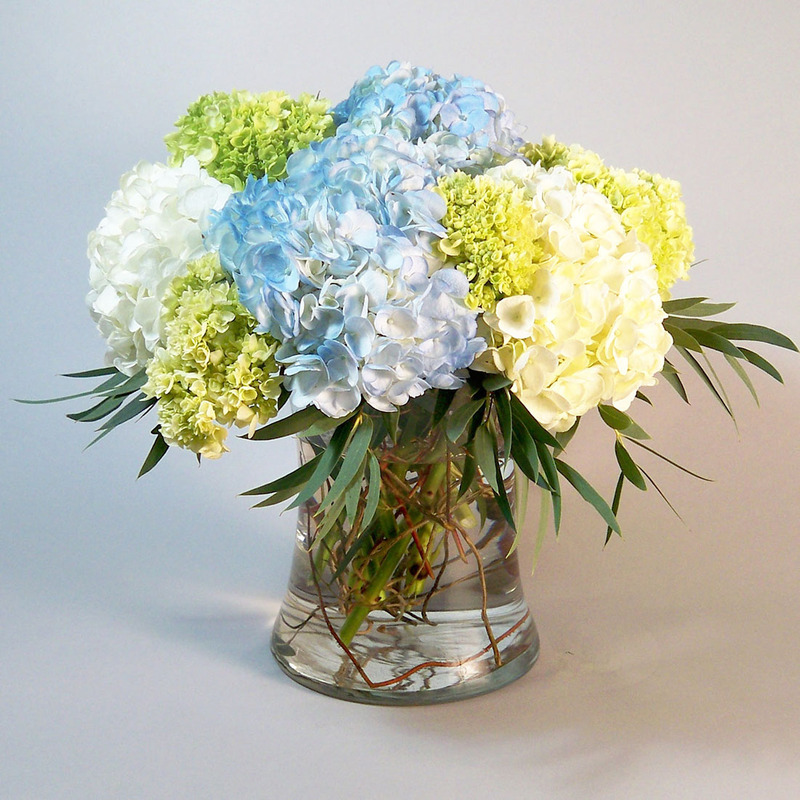 We have filled this vase with 3 different colors of everyone’s favorite hydrangea. Arranged for an upright compact look and designed in an 8 inch gathering vase. This piece sits around 14 in tall and 12 in wide and perfect for anywhere in the house. Premium- We have added 6 yellow roses to the already glamorous 3 color mix of hydrangea for an even more dramatic look.